When it comes to exes, you have to be careful, more careful than you think. If you find yourself asking, “should I get back with my ex?” it’s time to ask yourself a few other, more important questions. You can’t make this decision on a whim. The fact that you’re not together right now is a huge deal and means there were some serious issues in your relationship previously. Those things don’t just disappear while you’re apart. In fact, they can get worse if you don’t address them properly. That being said, if you feel like separating was a mistake and your ex is showing signs of wanting to get back together, ask yourself these questions before diving in and trying again. 1. Did he cheat on you? There’s very little wiggle room for someone who cheated on you. You can’t exactly just forgive him and move on. Obviously, he has some issues to deal with. And because of his cheating, you might too. It’s a blow to your self-esteem and if that isn’t addressed right away, it can lead to additional problems in the relationship. You could become insecure and that leads to jealousy, which, more often than not, leads to arguments and a worse off relationship than what you had before. So ask yourself if you can be with a cheater. There are very few cases when a cheater is truly sorry and will change, especially if it hasn’t been long since the breakup. If you’ve been apart for a while and he’s continuously put forth the effort to apologize and make you see improvements, then you can consider it. Just be wary of a guy who cheats on you. It means he has very little respect for you. 2. Do you trust him completely? This can also go along with the whole cheating thing. However, you can easily not trust someone who didn’t cheat on you. Maybe you suspected him of it but don’t have proof. Either way, if you don’t trust him, you can’t be with him. Trust issues will always lead to problems if they’re not taken care of. And that’s another thing you have to ask yourself. Are you willing to put forth the work to fix the trust issues if you do have them? Is he? Not being able to trust your partner is a huge deal. Without trust, you won’t be able to effectively communicate and, without that, your relationship will be prone to many different problems. You’ll keep feelings inside and won’t feel fully comfortable around him. When you hold back, you cause issues that’ll just lead to another breakup. 3. Why did you break up to begin with? Sit yourself down and figure it out. What’s the real reason you split up in the first place? And be honest with yourself. Many people will just say you were fighting too much. But what were you fighting about? What’s the real reason you two were at such odds that you had to end your relationship? Whatever it is, ask yourself if you can move past it. Is there a way you can learn from this and correct what happened so you can move forward? Without addressing the main problem, you’re just going to wind up in the same situation all over again. Do you want to break up for the same reason more than once? I didn’t think so. Before you get back with your ex, you really need to discover what it is that put you so far off that you didn’t think the relationship could survive. Then decide if you can face that again. 4. Do you truly want him back or are you just lonely? Maybe people who break up with their man and then want to get back together don’t truly miss him. They’re actually just missing human contact. Basically, you have to ask yourself if you’re lonely or not. It’s okay to be lonely and want to mend things with your ex, but it’s not okay to assume you want to get back together just because you’re lonely. They’re not the same thing. When you break up, you go from frequent human contact and affection to nothing. That’s a big change. It takes your body a while to get used to the absence of cuddling and being intimate with someone. Don’t mistake this adjustment period as a desire to rekindle a flame that went out for a good reason. 5. Have the previous issues been resolved? This is a huge deal and if you can’t answer this with a confident “yes,” then you shouldn’t even think about getting back together. If you broke up for some serious issues, you have to get those taken care of before you can get back together. You might be thinking, “Well, duh,” but you’d be surprised how many people jump back in and then decide to try to fix the problems. Make sure you know of the serious problems ahead of time and solve them before you can even consider jumping back into a relationship. Otherwise, you’ll end up arguing over the same thing and splitting up because of it again. 6. Have you thoroughly discussed everything? You really have to discuss it in full too. You can’t just ask one another if you’re good and then move on. In order to get back together and actually be successful, you need to be able to talk about what happened. Figure out if there’s any lingering anger or distrust. It’s truly important to be able to communicate about what happened. Believe it or not, if you do get back together, you’ll end up talking about your break up from time to time. It’s a major misstep in your relationship and that means you’ll need to revisit the topic every now and then. You want to be sure you can do this easily and without any hard feelings, which means talking about it before you get back together is crucial. 7. Do you harbor resentment? If you have feelings of resentment toward your ex, getting back together is a major issue. So before you can even contact him, you really have to do a little self-reflecting and make sure you admit the truth to yourself. It’s perfectly normal to feel resentment toward your ex. You trusted him to make you feel secure and keep you happy and now it’s all over. That can easily make you feel unhappy about him or maintain a negative overall opinion, even if you do miss him and genuinely want to get back together. But imagine a relationship that starts out with resentment. It won’t go anywhere good, that’s for sure. So be sure there’s no harsh feelings lingering under the surface because if there is and the issues haven’t been addressed, it could be super problematic for your reuniting. 8. Are you confident about getting back together? This might seem like an odd thing to ask but when your ex is concerned, you might not always think straight. You could rush into the relationship again only to get hurt because you weren’t really confident in the reunion in the first place. So sit yourself down and just ask that question. If you don’t automatically think “yes”, there could be an issue. You should have complete faith in your relationship in order to get back together. If you don’t and can’t even see yourself getting to that point, then you probably shouldn’t get back with him at all. 9. Is this truly what you and only you want? How big of a hand has your ex and even your friends and family played in the idea of you reuniting with your ex? It’s important to think about because you never want to be influenced to make a decision as big as this. It should entirely be your idea and what you want only. Of course, your ex will have to want to get back together too but the main point is that nobody else is pressuring you, including your ex. He might be telling you how much he misses you and he could even be guilt-tripping you into making a decision and doing it quickly. Don’t do this. The only person you should be concerned about making happy when it comes to deciding if you should get back with your ex is you. So should you get back with your ex? The truth is that only you can make that choice. But if you want to know how to make the best decision for you and your relationship, we’ll be here to help. Don’t take this decision lightly especially if you couldn’t answer confidently and positively to all of these questions. And when it comes to the lingering, unanswered questions, think about what you could gain from checking out the Ex Factor Guide. 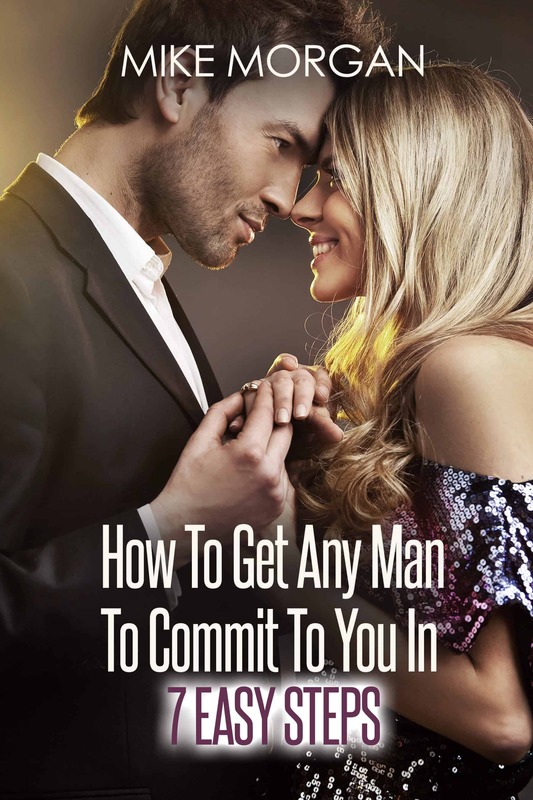 It’s a proven resource for learning about how and why things went wrong, and how to get him back. Check it out today and remember that time is of the essence. So don’t wait around.